Patients and providers of medication assisted treatment (MAT) for opioid dependence with methadone or buprenorphine have been saturated with the word "recovery" in recent years. Even our NAMA Recovery-sponsored and SAMHSA-funded MAT peer support project's name is the Medication Assisted Recovery Services (MARS™) Project. So what does the word "recovery" mean, and is it a good thing or a bad thing that the MAT community has become so centered around this word? 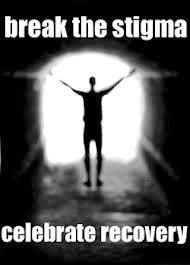 It's extremely important at the outset to note that there is no clinical definition of the word "recovery." Quite simply, it is a patient term that can have varying meanings throughout the population. Due to it not being a clinical term, some medical doctors and other professionals in the field of substance use treatment detest the growing use of the term within evidence based medical treatments. But to give us some guidance for a discussion around the word and what it might mean to MAT patients let's look at how the Substance Abuse and Mental Health Services Administration (SAMHSA) defines the concept: "A process of change through which individuals improve their health and wellness, live a self-directed life, and strive to reach their full potential." Some patients are legitimately surprised when they come to the realization that they often are living in recovery according to SAMHSA's working definition while maintained on methadone or buprenorphine. The medical treatment for his addictive disorder, which according to the Centers for Disease Control & Prevention (CDC) is the "most effective treatment" that could have been chosen, quite simply has nothing to do with determining his "recovery." The medical treatment of opioid dependence with methadone or buprenorphine can and does help foster and facilitate a patient's recovery, but his recovery does not hinge on the treatment in which he is enrolled. Let's be extremely clear: What matters is a patient's life and his quality of life - not whether or not he happens to take a legitimate, legal and efficacious medication under a physician's direction once or twice a day. 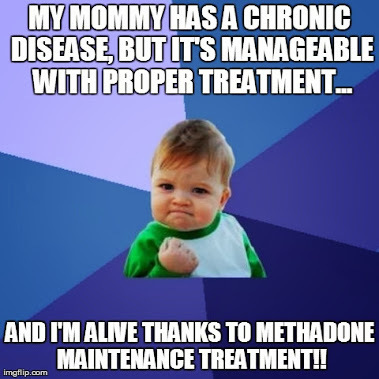 A problem that those of us involved in medication assisted treatment - whether we are providers/caregivers, advocates and/or patients - is understanding why the notion that methadone and buprenorphine do not and can not equal recovery is such a widespread belief among MAT patients themselves. We need to know and understand that it largely comes down to one word: stigma. The World Health Organization (WHO) recognized that, "The stigma associated with substance use and dependence can prevent individuals from seeking treatment, and can prevent adequate policies regarding prevention and treatment from being implemented." A decade and a half ago, in the most comprehensive investigation of stigma surrounding methadone maintenance treatment (MMT) to date, Herman Joseph noted, "No other medication in the history of modern medicine has been so unjustly maligned." He went on to further observe, "The stigma that methadone patients feel is a real phenomenon and in comparison with other social stigmas appears to be entrenched in the collective social consciousness of the country at every level of society." 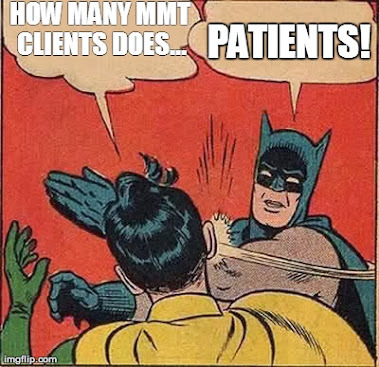 The very patients who are enrolled in and benefitting from MAT/MMT are not immune to or isolated from this pervasive stigma rooted in misinformation, prejudice and fear that permeates our society. The stigma attached to medication assisted treatment is almost as painful as the stigma of being an active intravenous heroin user, if not more so, for many patients. Many patients often feel that they must remain silent about the treatment that has saved and restored their lives, and the accomplishments they achieved while maintained on these legal and effective medications, to be accepted in society. We are often told we are not "clean" and told we can't speak at many 12 step meetings. It is this stigma, whose foundation is misinformation and myths about MAT, that can often be the largest barrier for recovery. Methadone & buprenorphine help opioid dependent individuals "improve their health and wellness, live a self-directed life & strive to reach their full potential." As such, these life-saving and life-restoring efficacious medications are a part of recovery from opioid dependence, and that is what we are all charged with helping patients - and society at large - understand. Never before has a medical treatment been so thoroughly evaluated for effectiveness and safety yet subjected to such (over) regulation and prejudice. We are all called to focusing on solutions for overcoming the stigmatization of medication assisted treatment with methadone and buprenorphine if we are sincere in our desire to promote recovery and confront the opioid addiction and overdose epidemic that is plaguing our region and country in an effective way. Well said Zac! Changing public perception on people with substance use disorders, is going to be a long uphill battle, however I believe it is achievable.It has to start with us in the field.Call me a dreamer, but I see a future, probably not in my lifetime, where our jobs will have become redundant.Drug use will have become benign, in our society! I think you're exactly right, Lloyd, and I agree that changing public perception IS achievable. It's frustrating for advocates and others in the field of medication assisted treatment because it can sometimes feel like we're not making any progress... 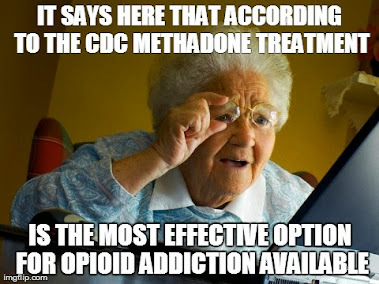 However, if you look at the entire history of methadone treatment (and much more recently buprenorphine) over the past nearly 50 years it becomes much more clear that we HAVE made progress and that we ARE making progress... We just have to keep educating the public. The real change comes when family and friends actually SEE their loved ones regain their lives in medication assisted recovery. The human face of this treatment is more powerful than any amount of data or information we disseminate! Always enjoy reading your articles. I still feel stigmatized daily, but for me, I think I perpetuate most of it in my head. You're not alone, Paige. Many methadone and buprenorphine patients feel stigma on a daily basis... And as Herman Joseph's piece on stigma attests, the stigma against methadone treatment can be just as painful, if not more so, as the stigma of active heroin or prescription opioid use. That's why it's important patients like yourself learn the facts... Knowledge is power. Once I realized that I have a legitimate medical condition and that methadone is a legitimate (and the gold standard) medication I took on an entirely new perspective rooted in empowerment. Keep on keeping on! Appreciate the perspective and the piece Zac. I try to separate the medication from the "recovery" in trainings because it's a holistic thing that the medication itself often facilitates. Wearing my recovery and my longterm MMT participation on my sleeve "normalizes" our recovery approach and helps remove some of the stigma. I would add that I've learned to disclose at the end of presentations and trainings so that when I do disclose, I've long since validated my knowledge, expertise and commitment to recovery with the group. I've found this approach the most successful in shifting the paradigm within closed minds. Keep up the great advocacy and work my friend! I think you're correct overall, Steven. I agree that it's important for methadone and buprenorphine patients to come out of the "MAT closet" and let folks know there are a lot of us... we are their doctors, their lawyers, their pastors.. we sit next to them at church on Sunday and serve with them on the school PTA... we cut their hair and change the oil in their cars. Once we put a human face on these treatments stigma will start to wane. I'm not so sure I'm completely with you on separating the medication from the recovery, though, because for many individuals recovery is just not possible WITHOUT the medication... so for those folks the medication IS recovery. Of course about 20% or so of methadone and buprenorphine patients can and SHOULD taper --- but the overwhelming majority are going to need treatment for the longrun (if not indefinitely). I'm afraid separating the medication from recovery might only further the divide between MAT and other treatments and that it could also perpetuate the myth that "true recovery" is when you're not on any medications.... But thanks for the comment, thanks for your support or NAMA-R TN, and thanks for reading!